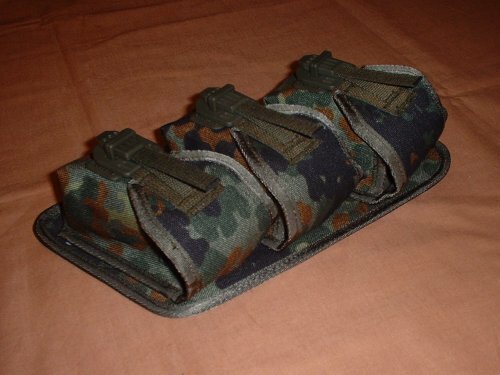 Hand Grenade Pouch for 3 Grenades: In flecktarn, designed to take 3 standard grenades, left hand side. 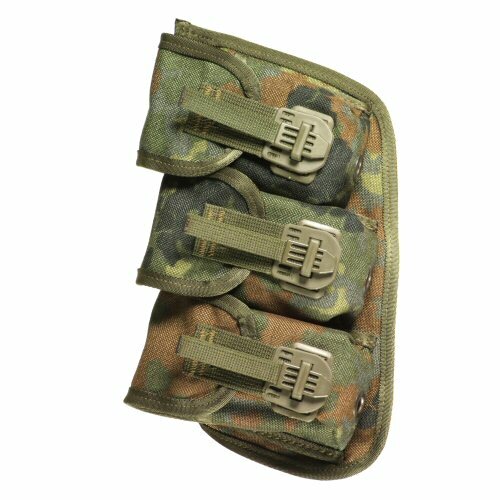 Attaches to shoulder harness with three separate compartments for each grenade. Can hold KWC BB holding grenades and items of a similar shape. Made of same type of cordura material as the pouches in the base set, rubberised internally and structurally quasi-rigid. Pouches are angled for ease of opening with the right hand. They are individually closed with the same kind of effective rapid release fasteners as magazine pouches. 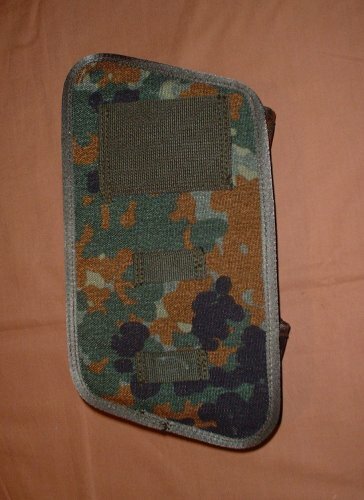 Rear view of hand grenade pouch showing the loops for feeding the shoulder strap through. Angled view of pouch showing the pouch depth and details of the individual compartments.